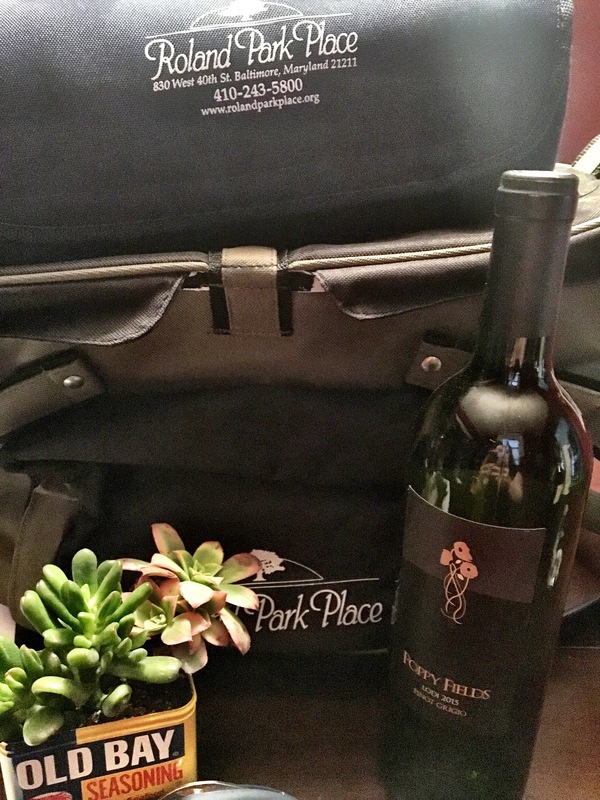 A Picnic in Charm City – eating my way through Charm City! Baltimore has many gorgeous spots where you can grab a seat, pour a drink and sit with nature. I was recently challenged by Roland Park Place – a continuing care community – to think about my favorite spot for a picnic. I knew my answer immediately. I would go to Sherwood Gardens; it’s my favorite spot in the entire city. Well, my favorite spot for sure without a water view. Back in the 1800’s the space was owned by the founder of the Sun Paper – A. S. Abell. In the 1900’s, the area developed, and part of the Community Park became houses – except for the six acres of what is now the Gardens. It is actually one of the most famous tulip parks in the country, named after the original planter, John W. Sherwood, who imported tulips from the Netherlands. When he passed away, he left money to continue the tulip scape for a year. 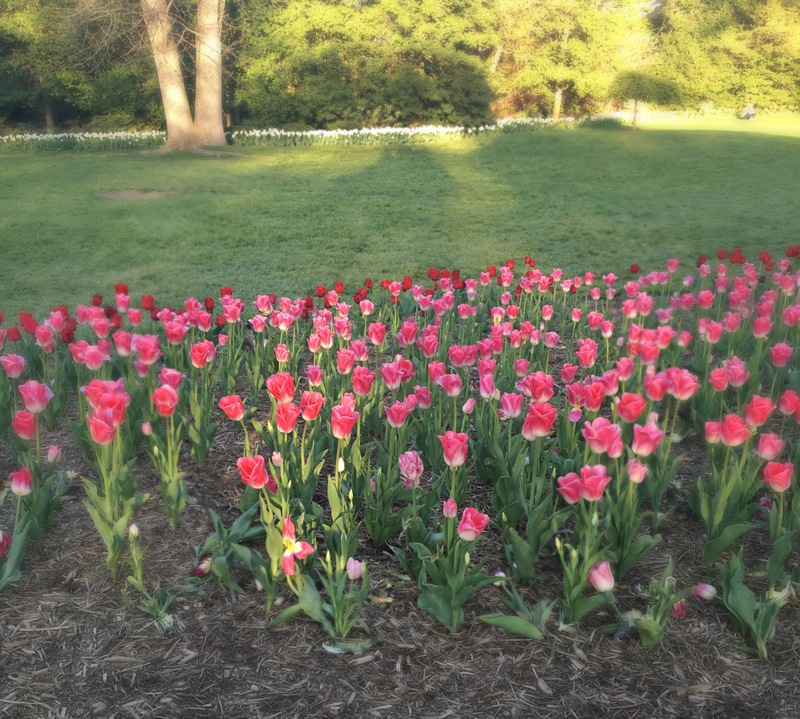 Thankfully, the Guilford Association has taken on the project and continues to plant approximately 80,000 tulip bulbs annually. A beautiful location is only one part of a picnic. The other most important part is the food. Sticking with some spots nearby, I would love for Ma Petite Shoe Cafe to cater this party. The establishment is in Hampden, right on the avenue. I can imagine sitting on the benches with a freshly made crepe or one of their delicious pastries. These guys make both savory and sweet crepes hitting all the guests’ cravings and sparking their taste buds. I sure hope they would be able to make them to order, even in the park. It’s really fun to watch. The crepe master, as I have affectionately named him, first pours the crepe batter on the griddle and uses what looks like a window squeegee to move the batter into a large thin circle. Once the batter has solidified a little, he adds the toppings. Ma Petite Shoe Café has a ton of choices. Be sure to take a few moments ordering or you might have some crepe envy. The crepe master folds the crepe in half once all the toppings are warmed, melty, and gooey. I watched him score the crepes just slightly into three sections; so smart, it folds nicely and the filling doesn’t spill all over the place .I can’t wait to try some of their savory pastries and their Everything Cookie; but, I haven’t managed to pass up the crepe yet. These guys make insanely good coffee drinks – all your classics, plus drinks like a lavender latte or a mounds bar latte. What goes better with sitting out doors than an iced coffee and food you can eat with your fingers? Where would you go? Who could cater your party? This entry was posted in Charles North, Charm City, Coffee, Detour, Hampden, Hooray!!! Winner!, Lunch, North Baltimore, Roland Park, Snack Time. Bookmark the permalink.